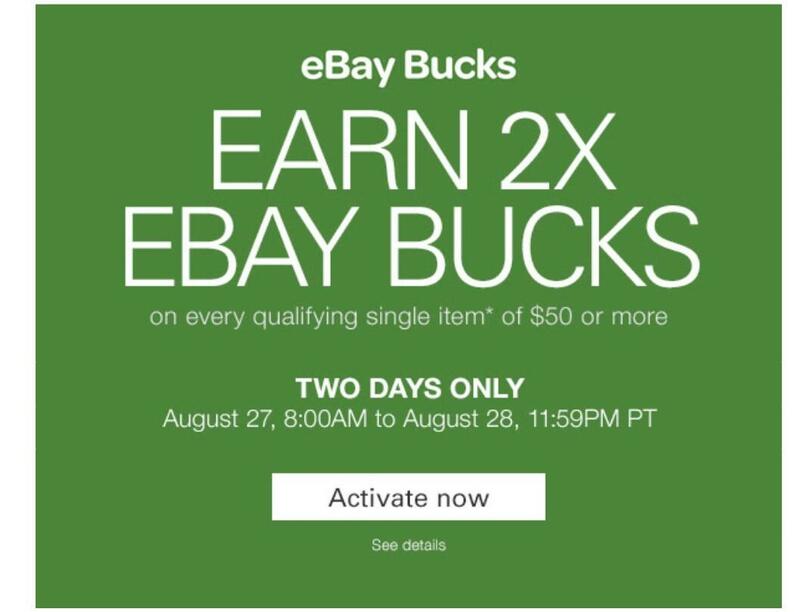 2x eBay bucks on any item of $50 or more. Recently, there have been targeted eBay Bucks offers of up to 4x so this is not as good as previously, but it is still a nice deal. Sale continues until the end of August 28th. This a multiplier of the regular 2% eBay Bucks so 2x is actually 4% in eBay Bucks!